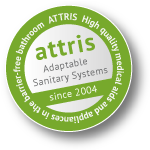 Capable of being integrated into every bathroom and sanitary facility. 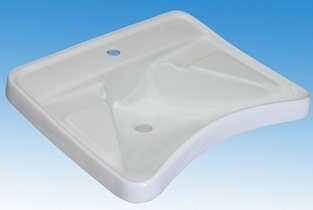 The basin is accessible by wheelchair user through its special shape. 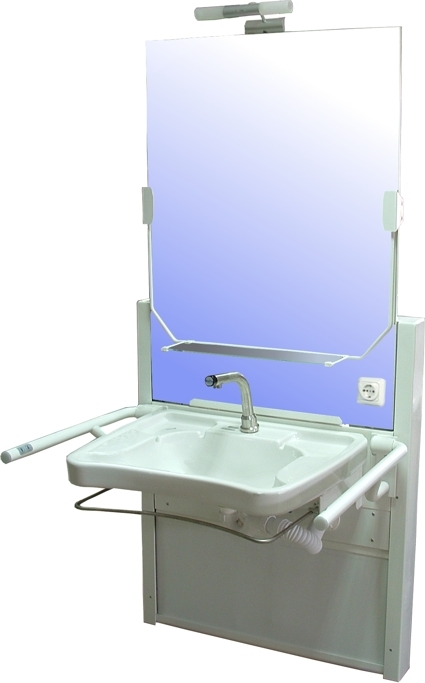 Wheelchair users can reach the basin tap comfortably and easily place their arms on the basin. 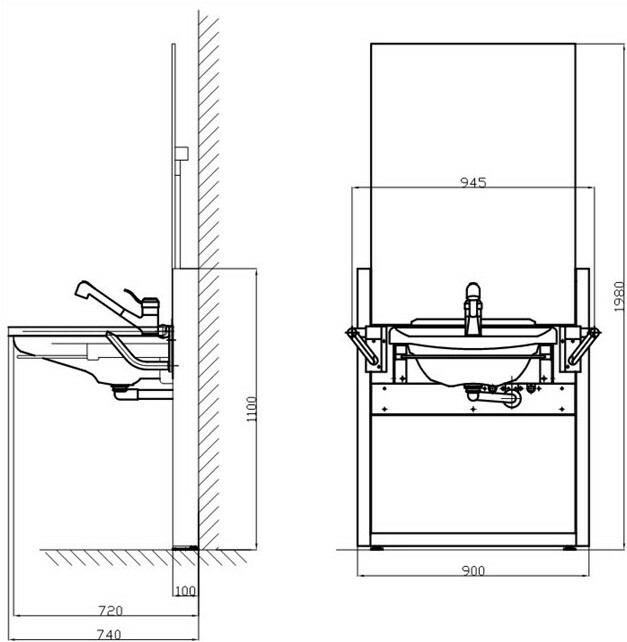 Height adjustment Inclination The wall-mounted lift basin is electrically adjustable in height from 500 to 850 mm. 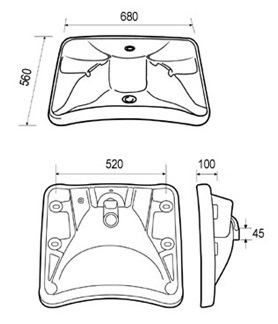 Also the basin can be mechanically inclined by 10 degree to the front. 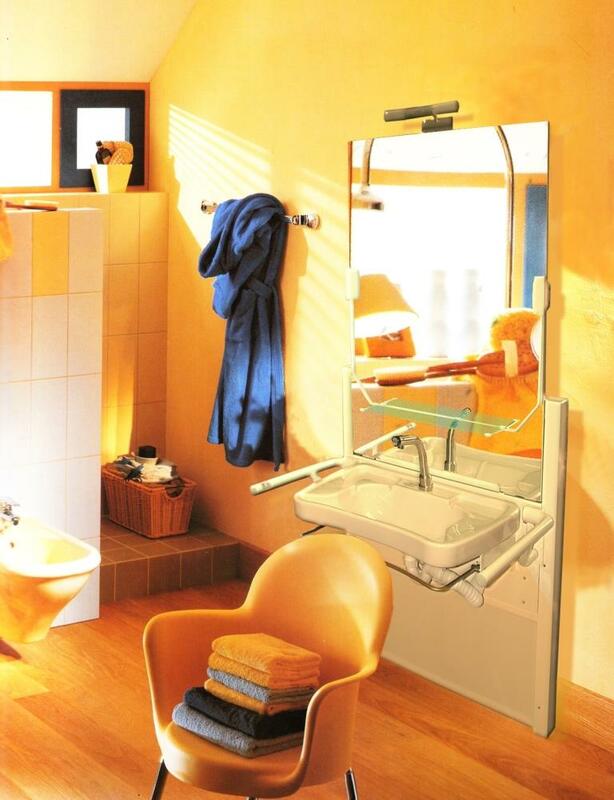 You can combine the wall-mounted lift basin according to your needs. 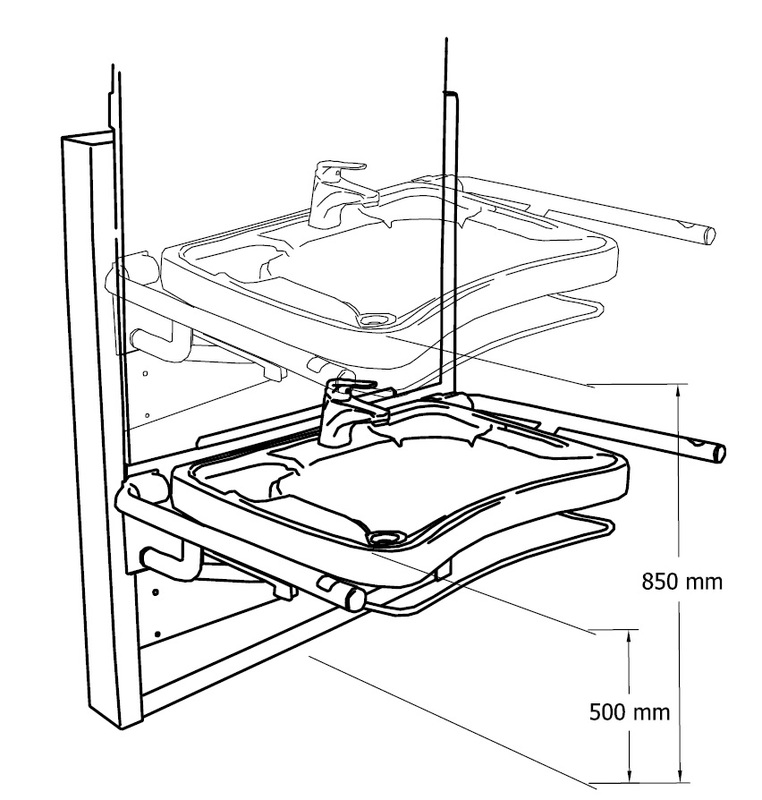 With our request form you can put together your personalized lift basin. You will receive a non-binding offer that has been configured according to your individual specifications.